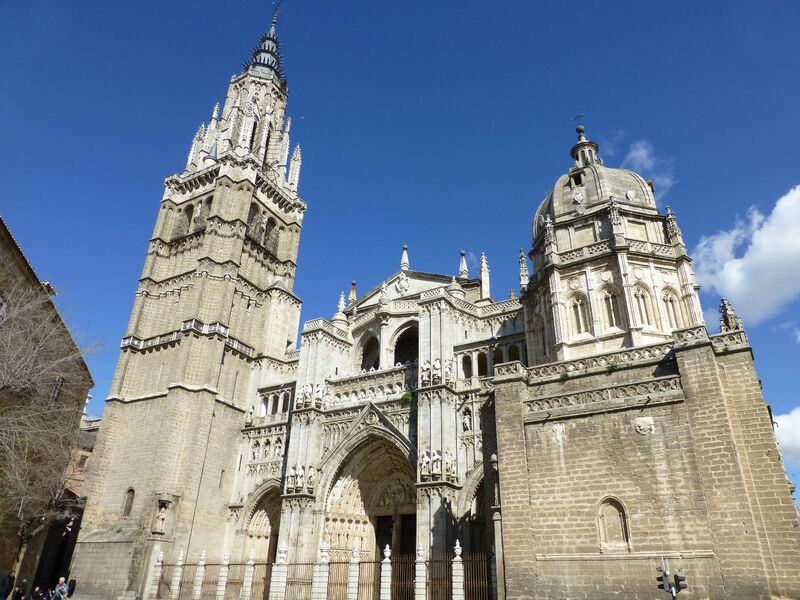 Toledo is another easy day trip from Madrid. 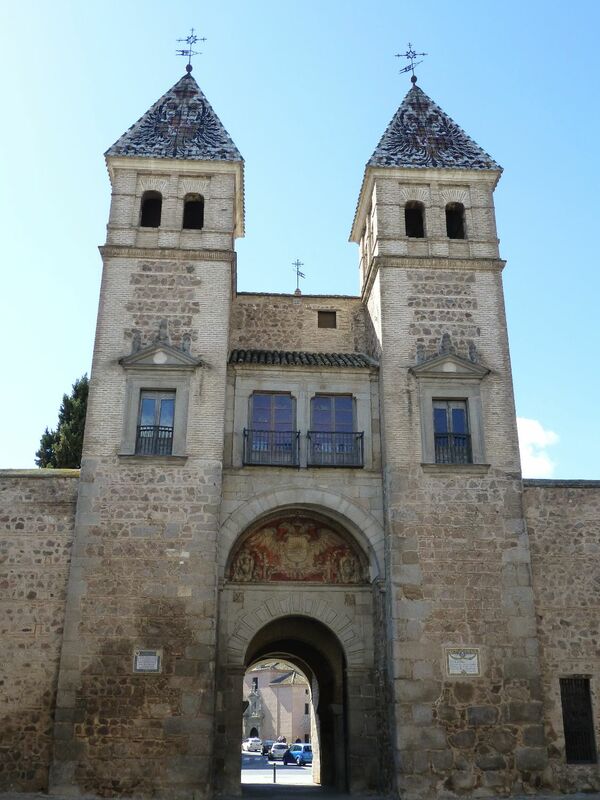 The bus station is at the bottom of the hill that the old town of Toledo is perched on – a short walk led us to a beautiful gate and wall that were part of the original old town. 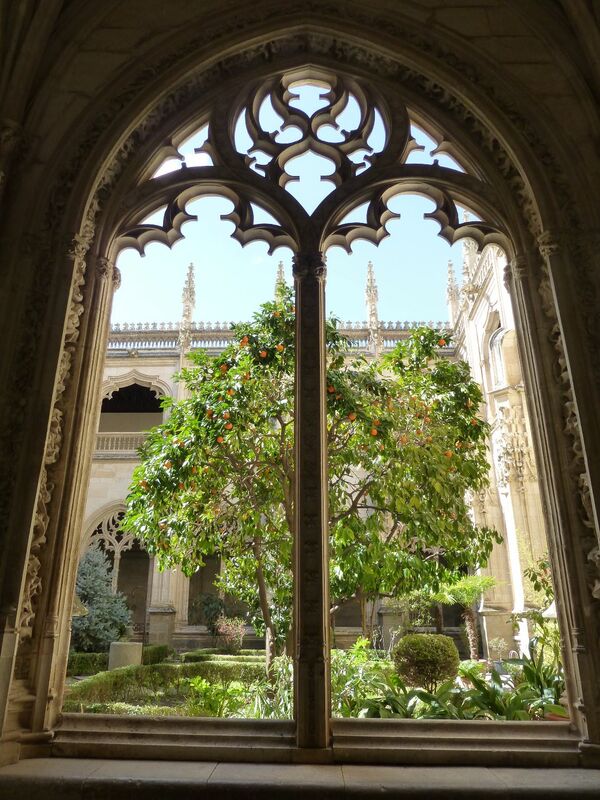 We walked through winding streets to the beautiful San Juan de los Reyes monastery, where we explored the chapel and the cloister gardens (the gargoyle above is from there). 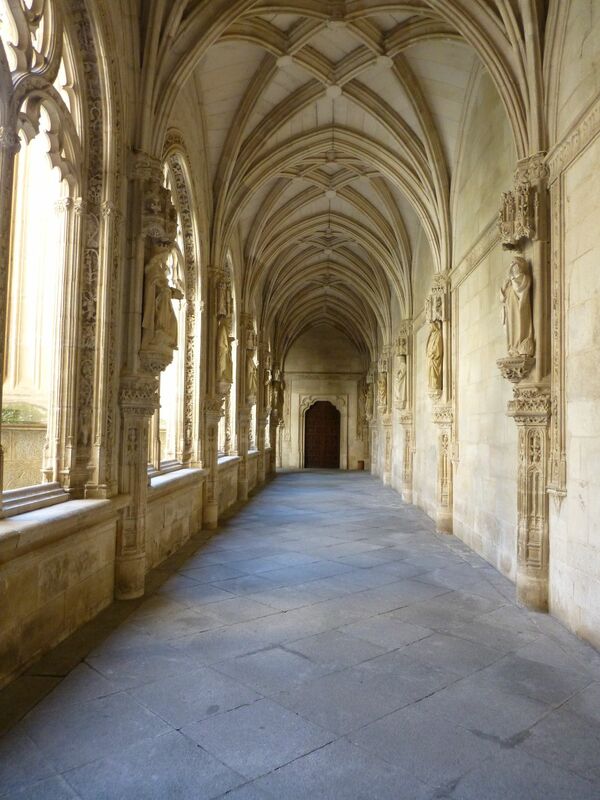 The monastery was a lovely serene place – a beautiful stop. 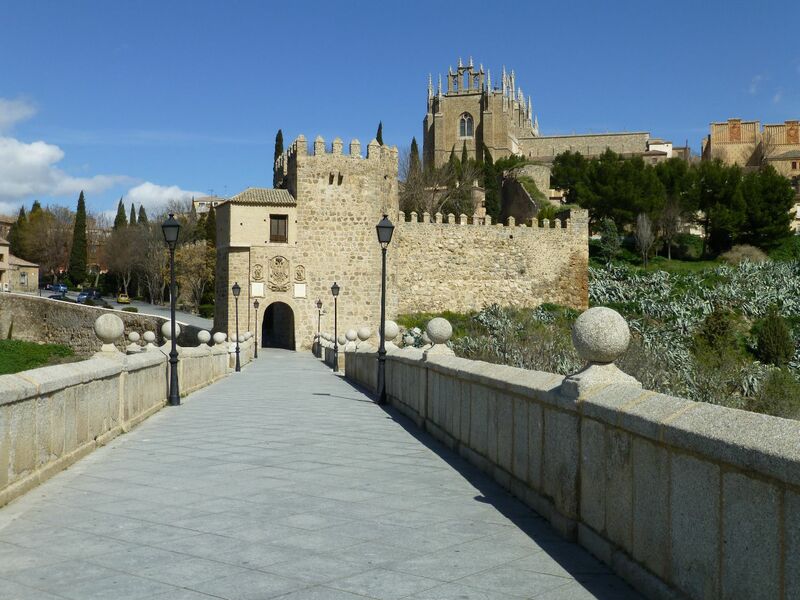 After our picnic lunch we walked down to the Bridge of San Martin and then along to see the Cathedral and the Alcazar. 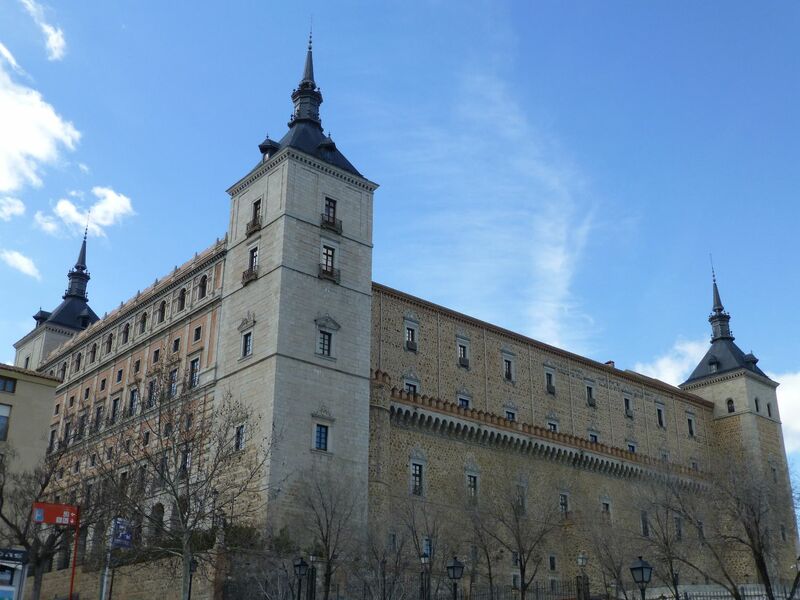 Here the Alcazar was more a fortress than a castle, very different from the lovely Alcazar in Segovia. 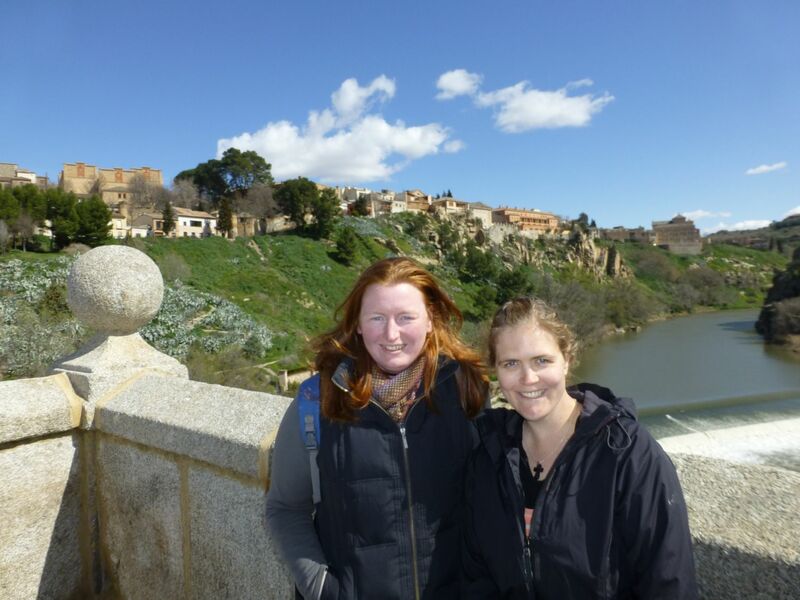 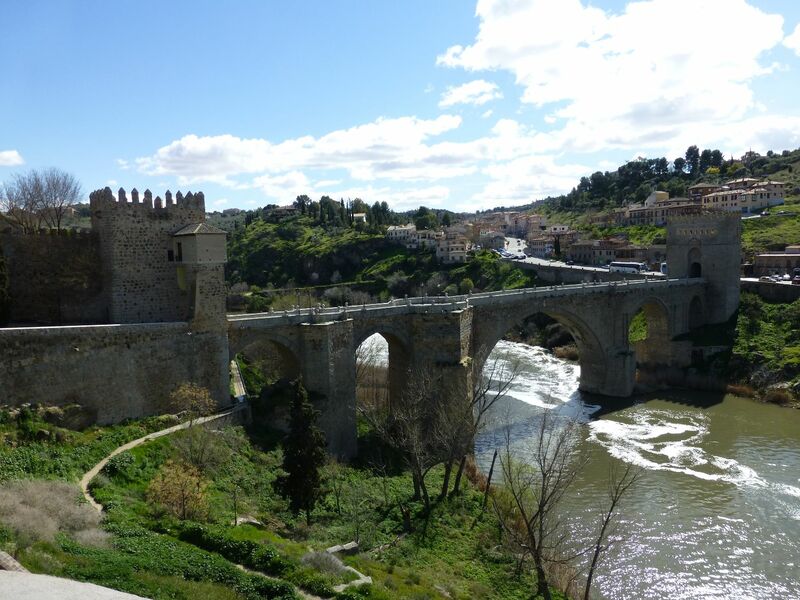 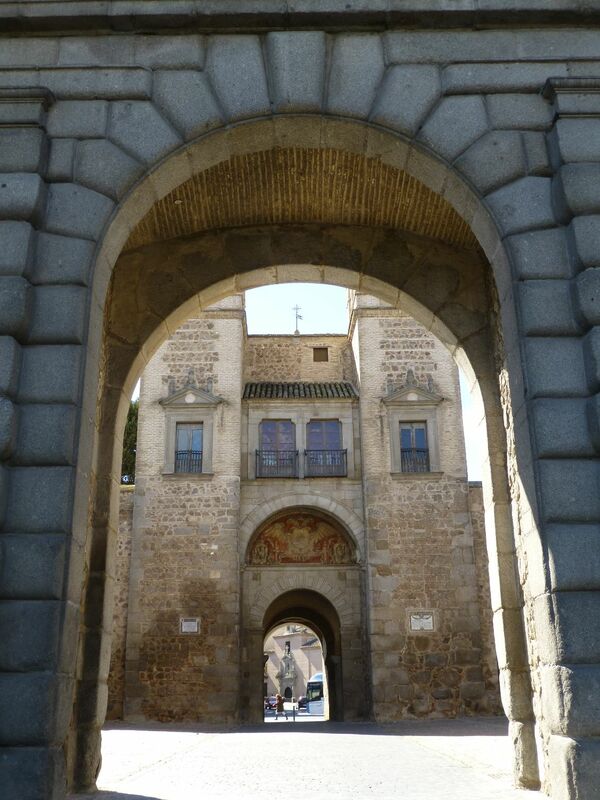 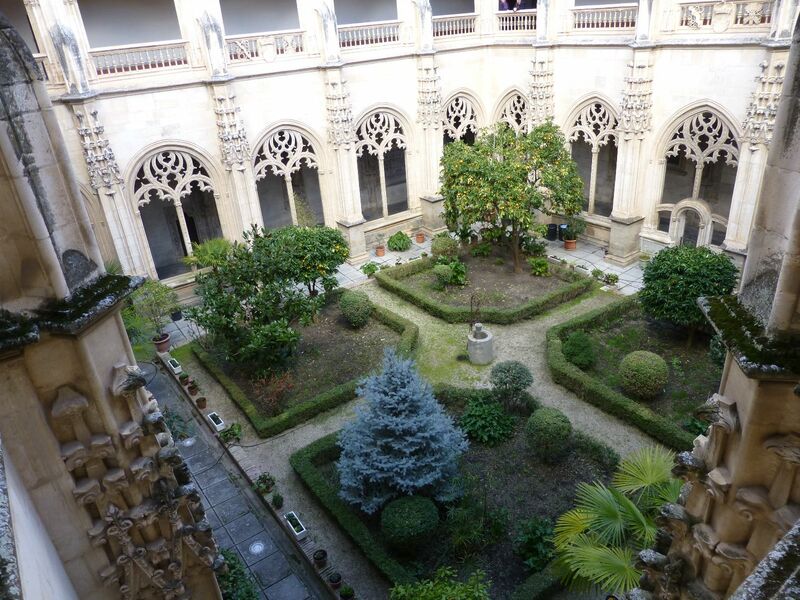 We really enjoyed Toledo – the old town was so lovely and really atmospheric. 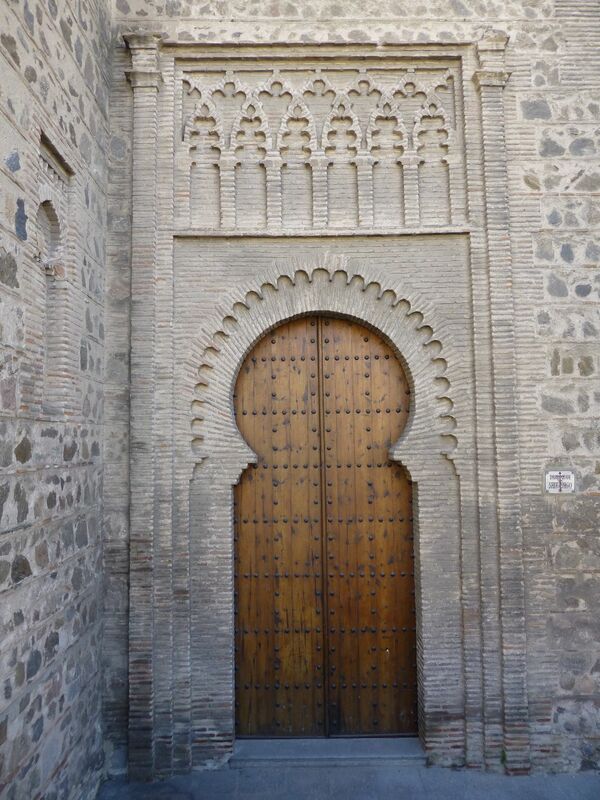 some awesome old buildings here!